I know things may feel really hairy and scary out there! And in the midst of the chaos it can be easy to get caught up with all the drama, fear and confusion. You can end up feeling disoriented inside of your own life, not knowing what to do, where to go or how to get there. Unfortunately, if you’ve had a religious upbringing, it doesn’t make it any easier. What was meant to free you may have been taught in a way that dumped heaps of guilt upon your head. And the weight of all that guilt can get really heavy, especially when you’re wanting to fly high into your highest calling above all the problems in the world. Are you having a hard time unraveling the web of guilt-stained doctrine, fear-ridden thoughts and shame-drenched beliefs? Do you feel shut down and tethered to a life that isn’t lighting you up inside? Are you experiencing a lot of pressure to just stick with the old way because it’s familiar? Or . . . maybe the old familiar way has become repulsive to you and you’re left feeling lost and alone in the unknown wilderness without an escape route in sight. Are you afraid to trust your own instincts for fear that you’ll be deceived or end up going the wrong way? Have your old beliefs about God started to not make sense to you anymore and are you longing to experience TOTAL spiritual freedom, but you’re not sure it exists? This can ALL change, Beloved. Right now is the time to leave old mindsets and belief patterns that keep you in constant judgement and struggle. It’s time to stop playing the victim, forgive yourself and others and heal a lifetime of wounds. There are no mistakes. All is being used for your favor. It’s just up to you to say “YES!” to the love that can set you free. Or… will you keep hiding, listening to fear, doubt and insecurity that bind you to an endless struggle? It’s truly up to you to leave the conditioning for the unconditional and replace your broken past with the wholeness that comes from embracing yourself completely. It’s time to step into the freedom of your powerful and unique soul path. In order to step fully into this flow and run with it, often we need to give up some of the old, align with what we truly want and allow the new to be birthed from within. To fully and boldly step into your innate, incredible healing Divine power! To cultivate the sacred and holy in yourself and in all things. To connect with like-minded souls who want to celebrate your success and who have your back. To relinquish the guilt and shame that has held you captive to a seemingly endless cycle of suffering. stop doing what fear wants you to do so you can break out of old mindsets that have kept you feeling stuck in pain and unsatisfied? take the dust covered dreams off the shelf and start living them NOW!? stop blaming others and start taking full responsibility for your life so you can embody and shine your unique powerful light in the world? stop making excuses and start choosing to live courageously, speak your truth and rise to your fullest potential? stop giving your attention and energy to people and situations that drain your lifeforce and instead believe in the power of your authenticity to attract life-nourishing relationships and experiences to you with ease and grace? stop listening to what everyone else thinks you should be doing with your life and start trusting your own voice and divine inner guidance? YOU’RE FEELING RIGHT NOW IS VALID. In 2003, I made the difficult decision to leave my church family where I led worship for 3 years. I was tired of feeling conflicted, judged and not good enough. The God of Love that I had learned about in some of the scriptures was not being demonstrated in the beliefs or the actions of the people around me. What started as something that I had overlooked for a long time, became too extreme and apparent for me to ignore. I knew that Love was calling me deeper and even though it felt risky, I felt compelled to follow. I ended up letting go of all that I had known. And in return I found what I had been looking for all along. Peace and Unconditional Love. SINCE GOING THROUGH THIS INCREDIBLE TRANSFORMATION, MY DESIRE HAS BEEN TO HELP OTHERS SIFT THROUGH THE FEAR, JUDGMENTS AND THAT WHICH DIVIDES US IN ORDER TO FIND PEACE WITHIN. THE GOOD NEWS IS, YOU HAVE WHAT IT TAKES! You’re born with the goods, my love. This community is not here to show you a new way. Rather, it’s here to illuminate a way that has existed within you this entire time. It’s just up to you to say “YES!” and jump in with both feet! I want to see you soar! I’ve walked through the depths of debilitating fear and I’ve learned how to rise above it and BE who I’m created to be. I now realize the power in community, accountability, vulnerability and authenticity. You’ll find all of these qualities here within Breakthrough Membership. I can’t wait to meet you! A month-to-month membership designed to transform you from fear-based conditioned beliefs to personal spiritual empowerment in your relationships, career, health and life. Sharla Ember is love. Pure and simple, and yet not so simple, Sharla-IS-Love. She has the innate ability to cut through the chatter and noise of day-to-day life and bring the awareness of love to all that listen or observe. She knows from some deep place within just the right words to use and at the exact right time to help me steer my ship and sail true to my core. She brings knowledge and true passion to anything she sets her mind to and is a real privilege to work with. You are in loving support in her presence and I treasure that presence. Working with Sharla on any level is bound to be a golden experience – worth the investment of time, energy, money – she will always give you her best, and she will always believe in you and your potential to be the best YOU possible. I’ve learned so much from this lovely lady, and I want to keep learning! a loving, all-accepting sacred supportive community that encourages you to heal, grow, nurture your best self and cultivate authenticity in you every day. weekly encouragement, meditations and trainings to help you develop new spiritual patterns and habits that will free you to navigate your life with ease and fulfill your deepest desires. uncover your soul passions to ignite your innate vision and purpose that is unique to you. recognize the blind-spots, obstacles and pitfalls that may have stood in the way of you stepping into your power and the truth of your soul. Enjoy 10+ powerful healing videos of channeled transformative musical meditations and sound healings designed to release fear, align you with your soul path and purpose and cultivate who you truly are. Gain access to all downloads of my current and new music. My music is written with a focus upon transformation, awakening and healing. I draw from other cultures to create a unique sound. Step into the synergy that’s created when other like-minded souls join together on a journey of a lifetime. Gain friendships and connections to enrich your soul and strengthen your path. Enjoy a deeply supportive community during this time of transition in your life to encourage you to awaken and grow. I will be going live on a regular basis in our private Facebook group to lead mediations, Q&A’s and discuss fear-based conditioning, expanding spiritually, stepping into your power, activating your body’s healing power and clearing blockages to live the life you want to live! I’ll sneak you into the studio for an exclusive look into the recording process where you can watch as the songs unfold. As soon as my new EP is released we’ll send you an autographed copy in the mail. This guide will get you started on the right foot when you want to make a huge shift in your physical, mental and spiritual wellbeing. It outlines the practices I used to heal my body of chronic hand eczema (candida overgrowth), chronic fatigue, mood swings, depression and overwhelming food cravings. As well as, reveals the root of all disease and gives you the roadmap to implement the simple remedies in your life. This is not a bandaid approach. It’s all about getting to the root for lasting health and wellness. Choosing to honor your body by committing to healthy practices is just the first step in creating a happy healthy core. The next step is to find better choices than the foods that have taken center stage in your life. When you’re hungry, it’s much easier to stay the course when you know what to eat. Otherwise, whatever foods are familiar can often win you over in the hungry moment. 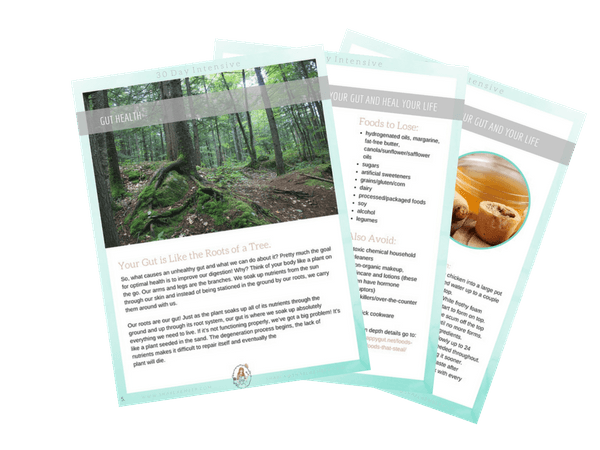 This guide helps you to take the guesswork out of what to eat, so you can plan and eat from an empowered place of health and nourishment rather than settle for foods that are not giving your body what it needs needs to function properly. What Sharla shares creates a complete sacred space. It’s not only moving and beautiful, but also healing and elevating. It is an environment where people can easily align with their truest selves. I am thrilled that Sharla has been a member of my community in large part because I can encourage others to go and be influenced by the powerful light that she brings through her songs, instruments, spoken word – her essence. What is the time frame of Breakthrough Membership? All memberships begin immediately upon registry. You’ll create a login and password that will gain you access to all of the Breakthrough Membership features on November 22nd. You will be instantly added to the private Facebook community. Will I be able to ask questions and get feedback? Do I need to have a fear-based RELIGIOUS background for me to benefit from this program? No you do not. Since I come from a religious unbringing, a lot of what I talk about comes out of that context, but fear is fear. No matter where it comes from the principles are the same for becoming free from it. Two of the modules will be addressing religious content specifically, but the information that I’ll be predominately sharing is Universal with references here and there about reframing and reinterpreting old religious teachings. Is there a specific theology that's taught in this program? If you consider unconditional love a theology, then yes! All teachings are based in unconditional Love and are not associated with one religion or dogma. There will be no religious agenda and no expectation of you other than to become the best version of You that you can become. Whatever that looks like, you will be accepted as well as encouraged to see yourself as Love. The aim of this program is not to demolish your connection to God, but to enhance your spiritual perspective to one that has no limitations, conditions or restrictions so that you can thrive by being authentically YOU! 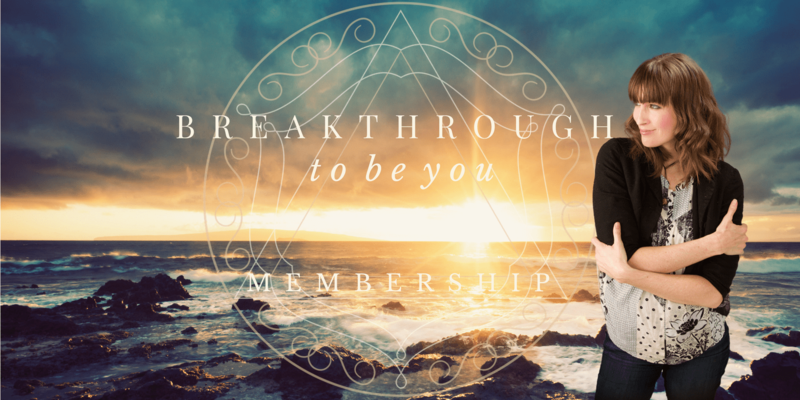 Breakthrough Membership is a month-to-month membership. You may cancel are suspend your membership at any time. 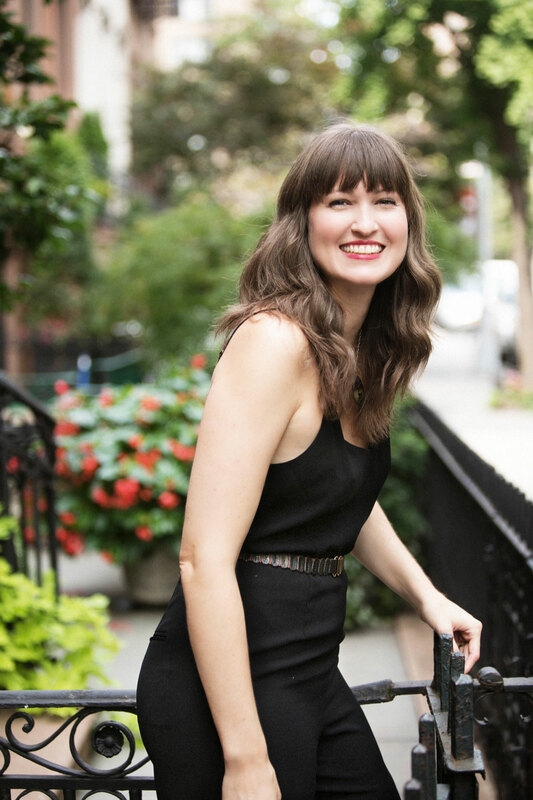 Sharla is the founder of sharlaember.com and creator of Breakthrough to Be You Memberships and Programs. She’s a divine channel, musician, singer/songwriter, multi-instrumentalist, transformational healer and teacher of the “The Way of Bliss”™. Her powerful gift of holding space for unconditional love through channelled music, love and healing attracts others to heal, awaken and return to their natural state of being which is wholeness and love. It’s her desire to help others become free from fear-based conditioning and dogma so that they can truly experience freedom of expression, fulfill their soul purpose and live a rich life. Sharla was raised in a fundamentalist Christian tradition and served as a worship leader for many years. After having an encounter with divine unconditional love and realizing that God IS unconditional love, she reached beyond the dogma of Christianity to embark on a soul journey free from the oppressive fear she grew up with. 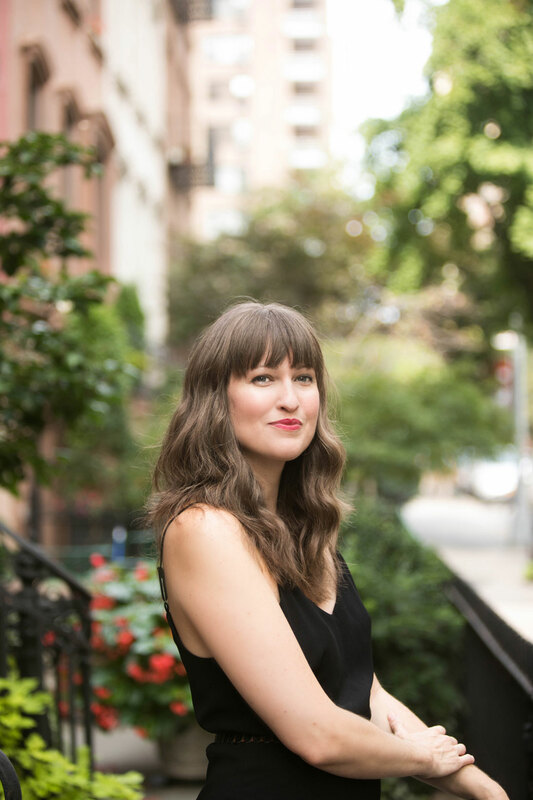 She now leads transformative workshops and events, is a recording artist of original music and meditations and helps people shift from a perspective of God that is rooted in fear and division to one that is grounded in unconditional Love, acceptance and Unity.